In short, it shows that using an energy comparison site takes quite a long time and most customers find it hard to find and enter the right information and then choose the cheapest tariff for them. This sheds some interesting insights on the spat between small energy suppliers and price comparison sites that broke into the mainstream media and was briefly a lead story online and on the radio on the BBC last week. The Competition and Markets Authority is stuck in the middle of this argument. Ofgem, the industry regulator, will soon be dragged in. The CMA wants to allow comparison sites to drop the requirement that they use all available suppliers and tariffs when customers use them. They have bought the argument from comparison sites that having to display the whole market allows smaller suppliers to free ride and not pay the site commission when customers use them to switch. The CMA also thinks that it will allow comparison sites to negotiate exclusive deals with suppliers and get even lower prices and increase competition between the sites. Smaller suppliers are concerned they won't be listed and will be outgunned by the deeper marketing pockets of the large suppliers and they will be squeezed out. This will mean less competition and higher prices. What is clear is that the biggest loser in this debate will be the customer. Customers will have to visit several comparison sites to be sure they can compare the whole market. 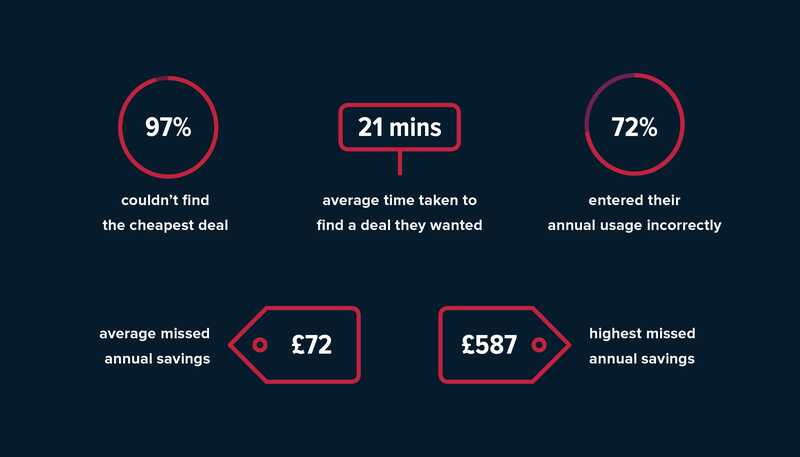 Our research suggests this would mean customers spending over an hour to shop the market and that most will still miss out on betting the best deal. This hardly seems a recipe for getting more customers to engage and provide greater pressure on overpriced suppliers offering poor service. So what should be done? Nothing. The regulators need to get out of the way and leave these problems to companies like Flipper to solve. We don't take commission payments and will always look at all energy suppliers and every tariff when helping our customers switch to a cheaper deal. And because we automate the process customers can sign up in no time, do not need to tell us how much energy they use, what their current tariff is called or even who supplies them. They can rely on us to make accurate, personalised comparisons across the whole market to sure they never pay any more than they need to for their energy by switching them automatically four times a year.